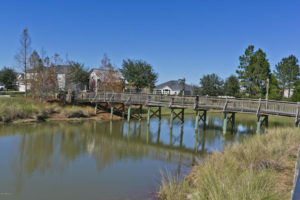 Heritage Landing is an award-winning community from D.R. Horton. 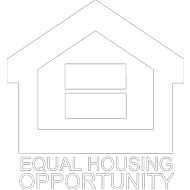 The family-friendly neighborhood was launched in the fall of 2003 and its 1,154 single-family home entitlement is almost totally built-out. Heritage Landing features an unusually diverse collection of home site options, including 40′, 50′, 60′, 70′ and 80′ wide lot sizes with single and two-story homes. At the heart of the neighborhood is an originally-conceived and inventively-designed amenity center modeled after the great Appalachian and Adirondack summer camps of our youth – known as Camp Heritage. 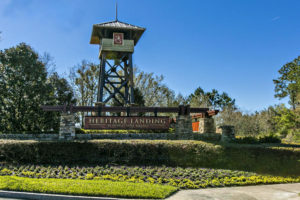 The entranceway to Heritage Landing is off of the River Road and southern extension of the William Bartram Scenic Highway (C.R. 13) – the historic riverside route along the St. Johns River from Jacksonville to St. Augustine, Palatka and eventually Daytona. Heritage Landing Parkway is itself a scenic byway, extending 2,000′ through lush landscaping with panoramic views over the community waterways. The parkway arrives at a focal intersection, overlooking Camp Heritage and its tall, forest-service-lookout-tower-styled water slide. Designed with families in mind, most of the streets in Heritage Landing end in cul-de-sacs overlooking woodlands, lakes or open spaces so that each small collection of homes can enjoy greatly reduced vehicular traffic and the elimination of pass-thru travel. 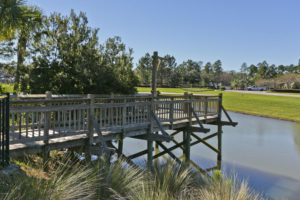 Heritage Landing is surrounded on its eastern and western boundaries by preserved conservation lands. Camp Heritage is the heartbeat of the neighborhood. 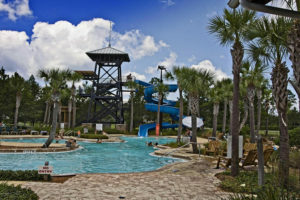 Twin swimming pools with water jets, a jumbo water slide, animal-tracked and leaf-imprinted “beaches” and a young children’s wading stream with fun sculptures of manatees and alligators get most of the action throughout the summer. 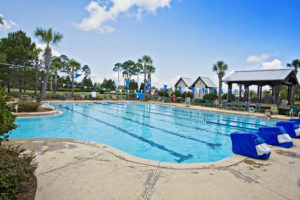 The pool complex includes the Florida-cracker-styled multi-use ballroom, a fitness and exercise room, extensive sunning and lounging decks, shade pavilions, beach volleyball courts and “bird-house” restrooms. 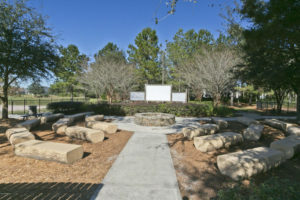 The Camp has an open-air fire and story-telling ring and a starry-night projection screen for movie events. A lake boardwalk cross-over links the Camp to a school bus stop. Athletic fields include a full-size, competition soccer field and a little-league baseball field with a scoreboard and ramshackle, wooden dugouts and bleachers. 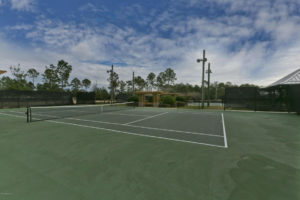 Multiple basketball courts and a fully-fledged tennis center round out the core amenities. Right next door to the Camp is a secure compound for resident storage of boats, trailers and RV vehicles. The embodiment of World Golf Village living, Heritage Landing boasts quality and luxury in its homes along with a deep sense of community. Residents among its 1,154 homes enjoy the finest in craftsmanship and spacious architecture by D.R. Horton. Via the main thoroughfare Heritage landing Parkway, residents have access to the neighborhood’s crown jewel, Camp Heritage. 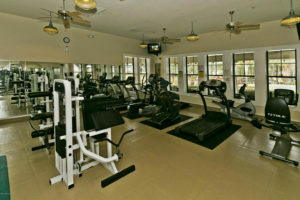 The facility includes two swimming pools, with a water slide, wading stream, ballroom, fitness rooms, sporting fields and more. 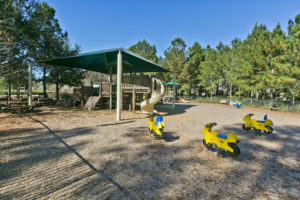 Top that off with local amenities and top ranked St. Johns County schools just down the road and Heritage Landing shines as the ideal location for any home buyer. Don’t miss the chance to see one of the area’s highest sought after communities. If you think Heritage Landing could be the perfect place to find your new home, let’s get together and answer any questions you may have.  I have been selling in St Augustine for over 12 years and are dedicated to your satisfaction.